In this video, we answer a number of frequently asked questions that we receive. You can read these questions below. Why does For My People Ministry criticize and judge others? To begin with, this question usually comes from those who have not read ALL the material available from this ministry. If they read everything in sincerity and with an open mind, they would see a complete and balanced view of God’s love, justice, and mercy. And remember that I am simply doing what I was instructed to do. Please note that there’s a difference between unkind criticism and pointing out errors in a spirit of love. In my dreams, God has revealed problems that exist among the majority of Seventh-day Adventists. This ministry was to expose the wrongs and rebuke those who do not walk according to what the Bible and Spirit of Prophecy have shown. We have made every effort to do so in love. Unrighteousness is practiced that God will not tolerate. He will visit for these things. A voice has been heard pointing out the errors and, in the name of the Lord, pleading for a decided change. But who have followed the instruction given? I have given warnings because the Spirit of the Lord has constrained me to do so, and have uttered reproofs because the Lord has given me words of reproof. I have not shunned to declare the whole counsel of God, which has been given me for the church. So here is a question: should we also accuse Ellen White of being hypercritical when she shared the words that God gave her? I believe what you are doing with your truth book is not right. Please allow the LORD and HIS RIGHTEOUSNESS [to] take care of the apparent problems you think you have with other people. Is not the God whom you claim to speak for bigger then mortal man? Because God turned the heart of old Nebuchadnezzar, can He not change the hearts of those who accuse you? Has he listened to the conference leadership instead of reading what God has given? First of all, Jim completely contradicts himself in his email. 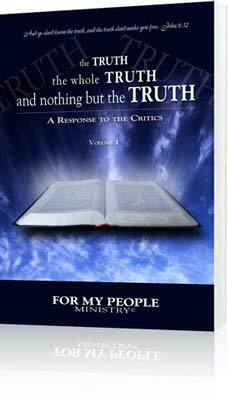 He insinuates that the Truth book is not of God because it points out the sins of my critics. Then he says that God can change the hearts of those who accuse me. Why would he think the critics should stop accusing me if I’m wrong about the Truth book? Second, God told me to have the Truth book written. I was specifically told not to be involved in any of the writing, except for the dedication. Jim is obviously being led by Satan. He should have taken the time to prayerfully read and study ALL the information, instead of blindly following the leaders. This pastor should be working in another occupation, because at this time he is not being led by the Holy Spirit. What does Testimonies to Ministers, p. 142, say about this? The converting power of God must come upon the hearts of the ministers, or they should seek some other calling. These solemn words speak to you and me. I have to bear the plain notes of warning from God. I must not suffer my brother to continue in sin. [I must warn him of] his danger. I must tell him "the wages of sin is death." God has said it. "Cry aloud, spare not, lift up thy voice like a trumpet, and show My people their transgressions, and the house of Jacob their sin" [Isaiah 58:1]. Here, my brother, is a work that you have not done as you should have done. And why? Because your own soul was not right before God. But if His messengers lift up their voices in reproof and warning, to turn men from their wicked ways, and those souls will not hear, then the watchman is clear…. This refers to judging another’s motive, not a person’s wrong acts or words. Please notice in the following Bible examples that there is a place for proper judging. 2 Chronicles 19:5, 6 also talks about judging. And he [Jehoshaphat] set judges in the land throughout all the fenced cities of Judah, city by city, And said to the judges, Take heed what ye do: for ye judge not for man, but for the LORD, who is with you in the judgment. God's plan is not to send messengers who will please and flatter sinners; He delivers no messages of peace to lull the unsanctified into carnal security. These words make it very clear. God’s people CANNOT conceal the sins that God has asked them to warn against. They warn because they love God and care about the salvation of others. Those who do not warn against the apostasy become a part of it. Jesus was our example, and He did not fear the consequences of revealing the sins of His people. Notice what He said to the apostate church leaders of His day, as recorded in Matthew 23. …for ye are like unto whited sepulchres, which indeed appear beautiful outward, but are within full of dead men's bones, and of all uncleanness. Ye are of your father the devil…. Notice this encounter between Ahab and Elijah, as written by Ellen White in The Great Controversy, p. 590. And it came to pass, when Ahab saw Elijah, that Ahab said unto him, Art thou he that troubleth Israel? And he answered, I have not troubled Israel; but thou, and thy father's house, in that ye have forsaken the commandments of the Lord, and thou hast followed Baalim. 1 Kings 18:17, 18. As the wrath of the people shall be excited by false charges, they will pursue a course toward God's ambassadors very similar to that which apostate Israel pursued toward Elijah. Let me ask you this. Was God too harsh when He banished Adam and Eve from the Garden of Eden? What about when He asked Abraham to sacrifice his son? While we may not always understand why God’s ways are so different from man’s ways, we must accept it, because He always knows best. God’s justice may seem harsh, but it is merciful. The last generation will not only resemble Elijah and John the Baptist, but most of all, they will be like Jesus and follow His example. Remember that private sins are to be rebuked privately, as in the example of Jesus with the woman at the well. Public sins are to be rebuked publicly, as with Jesus and the Pharisees. The following situation from Testimonies for the Church, Vol. 2, pp. 14,15, emphasizes that Matthew 18:15-17 applies to personal injuries, not church problems. Please read carefully. The next morning, as we were about to leave for the house of worship to engage in the arduous labors of the day, a sister for whom I had a testimony that she lacked discretion and caution, and did not fully control her words and actions, came in with her husband and manifested feelings of great unreconciliation and agitation. She commenced to talk and to weep. She murmured a little, and confessed a little, and justified self considerably. She had a wrong idea of many things I had stated to her. Her pride was touched as I brought out her faults in so public a manner. Here was evidently the main difficulty. But why should she feel thus? The brethren and sisters knew these things were so, therefore I was not informing them of anything new. But I doubt not that it was new to the sister herself. She did not know herself, and could not properly judge of her own words and acts. This is in a degree true of nearly all, hence the necessity of faithful reproofs in the church and the cultivation by all its members of love for the plain testimony. Her husband seemed to feel unreconciled to my bringing out her faults before the church and stated that if Sister White had followed the directions of our Lord in Matthew 18:15-17 he should not have felt hurt: "Moreover if thy brother shall trespass against thee, go and tell him his fault between thee and him alone: if he shall hear thee, thou hast gained thy brother. But if he will not hear thee, then take with thee one or two more, that in the mouth of two or three witnesses every word may be established. And if he shall neglect to hear them, tell it unto the church: but if he neglect to hear the church, let him be unto thee as an heathen man and a publican." My husband then stated that he should understand that these words of our Lord had reference to cases of personal trespass, and could not be applied in the case of this sister. She had not trespassed against Sister White. But that which had been reproved publicly was public wrongs which threatened the prosperity of the church and the cause. Here, said my husband, is a text applicable to the case: 1 Timothy 5:20: "Them that sin rebuke before all, that others also may fear." This is an example of Ellen White needing to be harsh. She often had to rebuke people in person and in her writings. I have had to do the same. This is why some of my dreams seem harsh. While it’s not easy to do, it’s necessary in order to save people. What does Revelation 3:19 tell us? God has ever been faithful to punish crime. He sent His prophets to warn the guilty, denounce their sins, and pronounce judgment upon them. Those who question why the word of God brings out the sins of His people in so plain a manner for scoffers to deride and saints to deplore, should consider that it was all written for their instruction, that they may avoid the evils recorded and imitate only the righteousness of those who served the Lord. …how few take reproof with gratitude of heart and bless those who seek to save them from pursuing an evil course. Why are you sharing so much about your critics? It may seem like I’m stressing the critics, however, I’m simply sharing the messages that God has asked me to give. If the videos had been released at the same time as the dreams and the Truth book, perhaps it would not seem like I continue to stress criticism. However, at this time, the For My People Ministry is small, with only a handful of volunteers. And remember that everything happens in God’s time and in His way. Additionally, it’s important to share truth in video format. Many prefer a video to reading a book, and it reaches a larger audience. In my dream about the Frequently Asked Questions video, I was shown the critics spoken of in the Truth book and in my video series. I was reminded about how they spoke against the messages and the messenger, and that God will hold true to His promise. If they do not repent, He will destroy them. And finally, those who are constantly fed the love and grace theme do not recognize the importance of a balanced theology. Adventists have been teaching the New Theology for so long, that they see warnings and rebukes as unloving. Prophesy not unto us right things, speak unto us smooth things, prophesy deceits: Get you out of the way, turn aside out of the path, cause the Holy One of Israel to cease from before us. Because ye despise this word, and trust in oppression and perverseness, and stay thereon: Therefore this iniquity shall be to you as a breach ready to fall, swelling out in a high wall, whose breaking cometh suddenly at an instant. And what will God do then? And he shall break it as the breaking of the potters' vessel that is broken in pieces; he shall not spare. This is not the time to be preaching smooth things. The church and the world are in a crisis, and Jesus is about to return. I trust that you’ll see the contrast this ministry shows between the errors of the critics and God’s truth. Has the church leadership given approval for you to share your dreams? Sadly, no. I knew from the beginning that it would do no good to try to get their approval. Think about this. Did John the Baptist get approval from the church leaders of his day to preach repentance and reform? Of course not! Did he get their approval to baptize Jesus? Definitely not! Some have also stated that I do not have the right or authority to baptize and cannot be compared with John the Baptist. But I ask, did Jesus get permission from the leaders to start the Christian church? Again, we must answer, no. Why don’t you cooperate with the Seventh-day Adventist conference leadership and support their programs? First of all, because they do not accept my ministry. Secondly, even if they did accept my ministry, I could not work with them. Our purposes, goals, and methods are different. God cannot bless human efforts if we follow His instructions only when it’s convenient. What’s more, the church organization promotes many things that God hates. 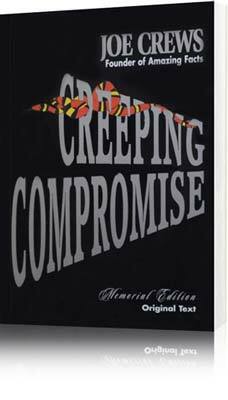 The details are discussed in the Creeping Compromise book, my dreams and videos, as well as the Truth book. We are living in the days the Laodicean message talks about. There can be no communion between light and darkness, and two cannot walk together unless they agree. These biblical truths are revealed in 2 Corinthians 6:14 and Amos 3:3. Men have allowed their minds to become so darkened and confused by conformity to worldly customs and influences that they seem to have lost all power to discriminate between light and darkness, truth and error. Some people accuse you of calling the Seventh-day Adventist church organization Babylon. Is this true? I want to make this very clear. I have NEVER, and this ministry has NEVER called the Seventh-day Adventist organization Babylon. However, it is in deep apostasy. I have been shown that the Jewish nation were not brought suddenly into their condition of thought and practice. From generation to generation they were working on false theories, carrying out principles that were opposed to the truth, and combining with their religion thoughts and plans that were the product of human minds; human inventions were made supreme. The holy principles that God has given are represented by the sacred fire; but common fire has been used in place of the sacred. Sadly, the world has infiltrated the Seventh-day Adventist Church, and God’s people cannot unite with its errors. The For My People Ministry is obeying the command of God, as referenced in Isaiah 58:1, to cry aloud and show God’s people their sins. It is not the intention of this ministry to establish another organization, but rather to point out what needs correcting in our beloved church. When the church is purified, God can bless His people with the Holy Spirit to help finish spreading the gospel and the truth for these last days so that Jesus can return. Why aren’t you doing a great work like Doug Batchelor or David Gates, such as helping people in need? The For My People Ministry is doing more than what is apparent. We simply have chosen not to publicize everything we do. One example is the help we give to the group in Kenya, which is mentioned in the testimonial section of our website. Other ministries brag about the work they do and beg for donations. It should be noted that this ministry does not beg for funds or send out emails asking for money. We never have, and never will. I have already been shown in my dreams that this ministry is helping more people than we know. Also, at this time the For My People Ministry is a small ministry with only a few volunteers. As of the beginning of 2014, it has been in existence only seven years. It is not a ministry that has been well established for decades. Why do you talk about God’s destruction when He is a God of love who does not destroy or kill? I talk about it because God has shared about it in the Bible, the Spirit of Prophecy, and in my dreams. Isaiah 28:21 reveals that the Lord becomes very angry in order to do His strange act of destruction. Following are just some events from the Bible that show God’s justice, judgments, and destruction. And the judgment at the second resurrection. God controls all these elements [referring to earthquakes, volcanoes, etc. ]; they are his instruments to do his will; he calls them into action to serve his purpose. These fiery issues have been, and will be, his agents to blot out from the earth very wicked cities. Like Korah, Dathan and Abiram, they go down alive into the pit. These are evidences of God's power. Notice it says “God’s power,” not Satan’s. Yes, Satan and his followers do destroy, but only when God allows it. Above the roar of the tempest was heard the wailing of a people that had despised the authority of God. Satan himself, who was compelled to remain in the midst of the warring elements, feared for his own existence. For those who want to believe that Satan caused the flood, if that were the case, why did he fear for his own life? During a vision of the night … Buildings, great and small, were falling to the ground. Pleasure resorts, theaters, hotels, and the homes of the wealthy were shaken and shattered. Many lives were blotted out of existence, and the air was filled with the shrieks of the injured and the terrified. The destroying angels of God were at work. Testimonies for the Church, vol. 9, pp. 92, 93. What does Evangelism, p. 27 reveal? I am bidden to declare the message that cities full of transgression, and sinful in the extreme, will be destroyed by earthquakes, by fire, by flood. All the world will be warned that there is a God who will display His authority as God. His unseen agencies will cause destruction, devastation, and death. In my dream about the Frequently Asked Questions video, I was reminded that soon God will pour out His wrath, as mentioned in Ezekiel 9. I was told that each should look to the east for the sword of God’s slaying. Great is His patience, but great will be the call for His destroying angels. Why did you state that the posted dreams were made up and were of Satan? To set the record straight, I have NEVER claimed that the dreams were made up and not of God. As clarified in the “Regarding Angels” dream of December 12, 2011, those who make this statement do not understand the truth. Many years ago, during the confusion when the first ministry was being shut down, Becky sent out emails stating that the posted dreams were not from God. She signed the emails with my name as well as her own. Soon after she realized her mistake. Do you believe that the Holy Spirit is a third Person of the Godhead? Yes, just as the Bible and Spirit of Prophecy reveal. Evil had been accumulating for centuries and could only be restrained and resisted by the mighty power of the Holy Spirit, the Third Person of the Godhead, who would come with no modified energy, but in the fullness of divine power. Some have read material showing that the Seventh-day Adventist pioneers did not believe the Holy Spirit was a person. That’s because God chose not to reveal more on the subject until the 1890s. Let’s not make the same mistake that the early pioneers made. And remember, truth is progressive. I have also been shown in my dreams that the Holy Spirit is a separate Person of the Godhead. Wasn’t Ellen White the last prophet? Those who state that Ellen White was the last prophet are virtually stating that there are portions of the Bible that are invalid or untrue. Otherwise, how do they account for Joel 2:28, 29 and Acts 2:17, 18? Here we have both the Old and New Testament revealing that in the last days there will be sons and daughters who prophesy, young men who will see visions, and old men who will receive dreams from God. Ellen White was one person and a woman. Important as she is to the Seventh-day Adventist Church, she does not fulfill the prophecies that specifically mention sons and young men in the time of the end. If we believe the entire Bible to be true, we are to expect not one, or a few, but many – both young and old, male and female – to be filled with the Holy Spirit and receive visions and dreams. So, was Ellen White the last prophet? According to the Bible, the answer must be, absolutely not. Additionally, if we say that we do not need further messages from God, then that reason could have been used after Moses wrote his books. Why would we not want further messages at the very end of time when the church is in a crisis and God's people have wandered far away from Him? If we reject His present-day messages, then we are rejecting God's gift of help. I will now share this statement for those who believe that Ellen White was the last prophet. It comes from The Review and Herald, February 18, 1890. Prophecy must be fulfilled. The Lord says, "Behold, I send you Elijah the prophet, before the coming of the great and dreadful day of the Lord." Somebody is to come in the spirit and power of Elijah, and when HE appears, men may say, "You are too EARNEST, YOU DO NOT INTERPRET THE SCRIPTURES IN THE PROPER WAY. LET ME TELL YOU HOW TO TEACH YOUR MESSAGE." There are many who cannot distinguish between the work of God and that of man. I shall tell the TRUTH as God gives it to me, and I say now, If you continue to find fault, to have a spirit of variance, you will never know the TRUTH. Notice she says, and when HE appears, not I or she. As mentioned in the Final Events dream, Ellen White was shown that at the very end, God would raise up a prophet who had been named long before he was born. She was instructed not to mention the individual, but his first name, Earnest, and its meaning, truth, were recorded, as well as the fact that he would not be accepted by many. The angel described as the Herald reminded me that people have stated that I do not understand the messages I have been given, so they try to correct me. Additionally, I was shown that while Ellen White did teach in the spirit and power of Elijah, she was not the prophet for the very last days. Isn’t the Bible all we need to be saved? Yes, it is. But how many are reading and searching deeply to understand all it contains and means, all that God wants to communicate to us? God saw fit to provide more instruction to His people through the Spirit of Prophecy. He asked Ellen White to write books, articles, and testimonies. Are we to assume that since she died, God has had nothing more to communicate to us? Some say that the writings of Ellen White are not as inspired as the Bible. However, if God is ultimately the Author of the Spirit of Prophecy, which includes dreams or visions from any prophets to come, are we to say that they are not as inspired as the Bible? Of course not. What Moses wrote was all that the Israelites living at that time needed to be saved. Does that mean that the Jews in New Testament times did not need what Moses wrote? And are the writings of Moses irrelevant for us today? If the book of Daniel was enough, why would God tell John to write Revelation so many centuries later? Or do you suppose that God has run out of things to tell us? Do you think we are now in such a better spiritual condition that we don’t need any more of God’s instruction? If God sends more light to help His people at the end of time, no one should be so foolish as to refuse it. Have you had any dreams fulfilled? Yes, I have. But please remember that a prophet’s work does not focus on predictions, and that all God’s promises are conditional. This information is for those who are sincere, because even if or when the predictions in my dreams come to pass, most would still not believe. I will mention the name of my dream first and then the fulfillment. Angel on a White Horse: An angel said that the road my wife and I travel will be filled with many holding “spears and arrows.” This has certainly come true with all the opposition. Go Forth: The interrogation before the “Great Council of Elders” represents the consistent opposition to the ministry from Seventh-day Adventist leaders. Watch, as I Am Coming: This dream mentions Doug Batchelor of Amazing Facts and reveals that Doug’s road would cross mine. This symbolizes that we no longer walk parallel or have the same beliefs, because Doug has spoken against the dreams and supports some of the apostasy. Part of this is due to the fact that Amazing Facts is no longer a self-supporting, independent ministry, but has joined with the conference system. A Great Work: In this dream, I asked the Herald why the book Creeping Compromise was not available to the many who want to read it. He answered that God knew about this and that He would provide the book in His time and in the way He knows best. Here’s an example. About six months after the dream, some people outside the United States told us that they wanted more Creeping Compromise books to distribute. Soon after, they found two boxes of the books on their doorstep. The boxes had no labels on them, because our ministry had not mailed them. Also, if the boxes had been mailed, the recipients would have had to go to the post office to pick them up in order to avoid paying a delivery fee. We are convinced that those boxes full of books were provided by heavenly angels. The Work Now Begins: The Herald informed me that soon my workload problem, as well as Becky’s, would be solved, because many would give of their funds, so that we could just work for the ministry and not hold other jobs. This was fulfilled shortly after and continues to be fulfilled. Stand Fast: At the end of the dream, the Herald stated that he would see me again to share more in dreams. True to his word, he has returned many more times. Get Ready: This dream states, “I watch as suddenly balls of fire come screaming past us at a very high speed. They break through the atmosphere and explode, causing destruction from where they are to the surface below.” Already an instance of one of these balls of fire occurred in February 2013. NBC news reported that in a region of Russia, “a huge meteor fireball set off alarms, injured hundreds of people and caused a factory roof to collapse.” This is only the beginning. The Cross: I was shown future practices that would come into the communion services at Seventh-day Adventist churches, such as casual conversation, using Danish pastries, imitation grape juice, and Wet Ones for the foot washing service. Sadly, these types of activities have been fulfilled. Let me share some examples. The North American Division Youth Ministries “Just Claim It” filmed parts of their 2012 Prayer Communion that included using purchased, pre-packaged Communion Juice and Wafer Celebration Cups. In “The Cross” dream I was shown the proper way to provide the communion bread. It is to be baked by a church member who should pray for a blessing over it. The video also shows two men using Wet Ones to wash their feet and individuals improperly anointing each other. The Camelback Seventh-day Adventist Church in Arizona held an agape brunch during Sabbath School time on Sabbath, March 30, 2013. The classes met for a brief pre-study. Then, during the worship service time, a special Easter celebration of communion and the resurrection took place. Flowers of commitment were brought to a cross as a symbol of devotion to Christ. The service was touted as a real treat. The Kernersville Seventh-day Adventist Church in North Carolina held a candlelight communion and agape meal on the evening of Good Friday, April 2, 2010. Participants were asked to bring nut breads, muffins, rolls, spreads, crackers, cheeses, and fruit. Members were then invited to join around a cross. Justice and Mercy: This dream included fulfilments that involved a family member, the Chile earthquake of February 27, 2010, as well as extreme weather patterns worldwide. Other dreams have predicted destructive weather calamities that have taken place and will occur more frequently and intensify as the end nears. Final Events and the First Supper: In this dream, which was repeated over many months before the posting date, the Herald shares that soon we will see Seventh-day Adventist conferences no longer following God’s directive that only men lead out as ordained pastors, but that God’s church will transgress His commands by ordaining women to serve as pastors. Along with this, we will witness the acceptance of homosexuality within the Seventh-day Adventist organization. It is evident that both of these developments are taking place, just as the angel stated. Additionally, I shared a private dream with my previous ministry’s board in which I was shown that they would walk away from the ministry. A year later, in spite of denying that they would do such a thing, they all left. I have also received two private dreams warning me of impending danger. The first involved an encounter with a rattlesnake and the other, a car accident. I am grateful to God for sparing my life both times, because I remembered His warnings. Other private dreams have been fulfilled, not just for me, but for others as well. What are the fruits of your ministry? Praise God. Jesus is coming again very soon!!! I really like your dreams, because they help me to overcome sin. They help me to hate sin. Some brothers have told me that pastor Knoll’s messages (the dreams, the Truth books, and all the teachings) have helped them so much to correct their lives. They have been called to a genuine repentance and so much more than what I can say. All the content has a common, identifying denominator. The messages awaken good things, without mixing in the smallest bit of impurity. It is all pure. 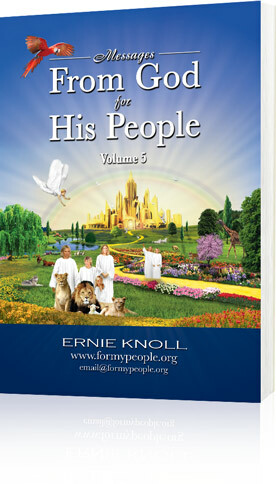 It is nothing but the love of the Lord appearing in the For My People Ministry web page through the messages of Pastor Knoll. I always visit the internet page and see that light, the same light that illuminated the apostles and through all the ages had illuminated His servants who search for the truth. As far as I am concerned, I am not worthy of such light, but through the grace of our dear Jesus, He has always shone light to show me His way. At times my eyes mist over and tears almost flow from my eyes as I feel His great love, His infinite, overwhelming love. 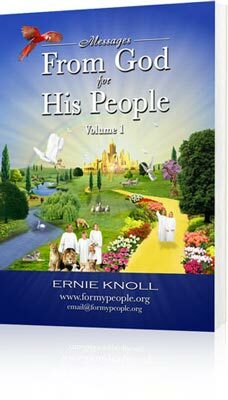 It cannot be said better than it is the love of the love of the love, as Brother Ernie so perfectly calls it. I want to encourage you to keep going, doing the Lord’s work. You can count on the prayers of my brethren here in Peru, even though we are few. Blessed be the Lord. Your brother in Christ.